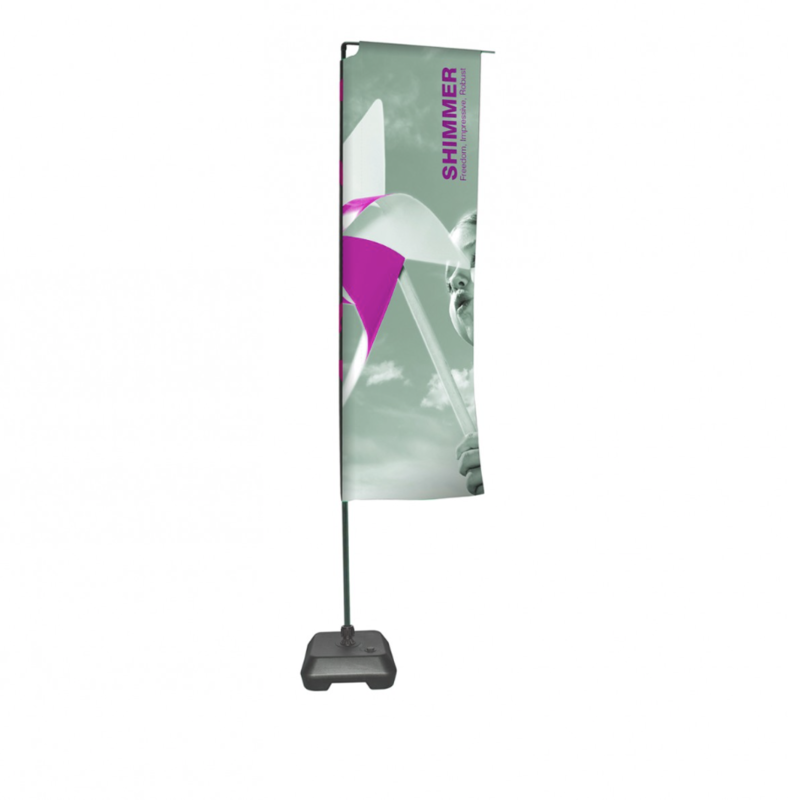 When it comes to promotional flags, there are so many different directions the wind might take you in. Whether you’re considering feather flags, advertising flags, or any other type of custom flag, there is something that will work hard at grabbing your potential customer’s attention. In this guide, I’ll explore your options and everything you need to know about the alternatives to help you make the choice most likely to help you stand out. Feather flags are a great way to promote your business and organisation, let people know where you are, and get them walking through your door. This option is, as its name implies, lightweight – without compromising on quality. They’re durable, easily portable, and quick to install anywhere. They’re attached to high-quality glass fibre poles and come featuring full-colour graphics of your choice. Ours even come with a carrying bag to make them easy to transport to new locations. 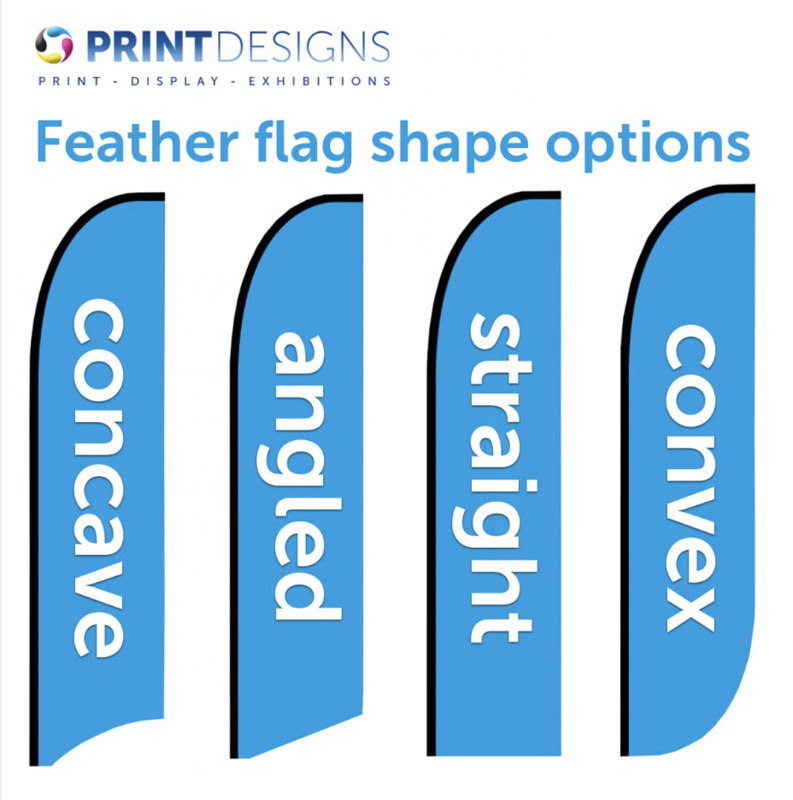 Feather flags come with both single- and double-sided print options, allowing you to decide if you want it to be viewable from both directions if you want them to display the same message, and other customisation options. You can also choose the type of base you want it fitted on to determine how long it will last. This choice often depends on the type of terrain you’ll be installing it in. Is it in a windy place, or will it be subjected to a lot of rain? Or will it be in a fairly calm location and not be subjected to a lot of harsh conditions? 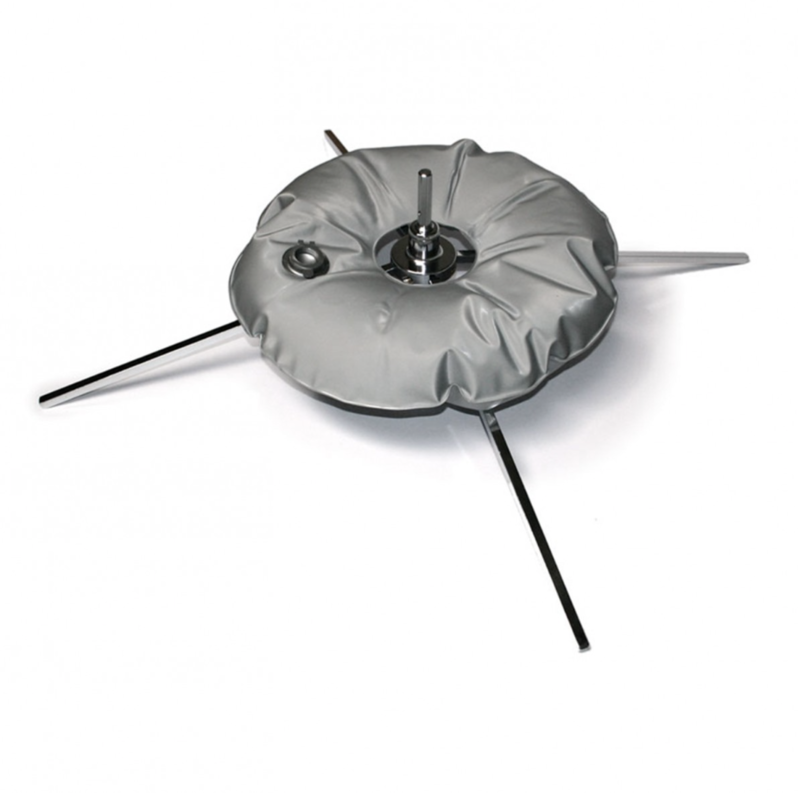 If you’ll be inserting it into soft ground, like grass, you will do well with a spike base, while harder surfaces might require a cross base or even something more hard-wearing. These are the types of things you should consider when deciding the type of base that will be right for your new promotional material. Unsure as to the hows and whys? Get in touch with one of the Printdesigns team and we’ll walk you through it. All in all, if you’re looking for a promotional flag that will do you and your organisation justice, these are easy-to-install and attractive options that will get the attention of passers-by and help to raise interest in your company! For more information on feather flags, click here. Teardrop flags are also known as flying banners. These helpful advertising tools, like their feather counterparts, use high-quality and lightweight poles made from glass fibre. Supplied with full-colour graphics on the material, striking prints designed to capture your brand will surely catch the attention of all who pass by and help to deliver your message. 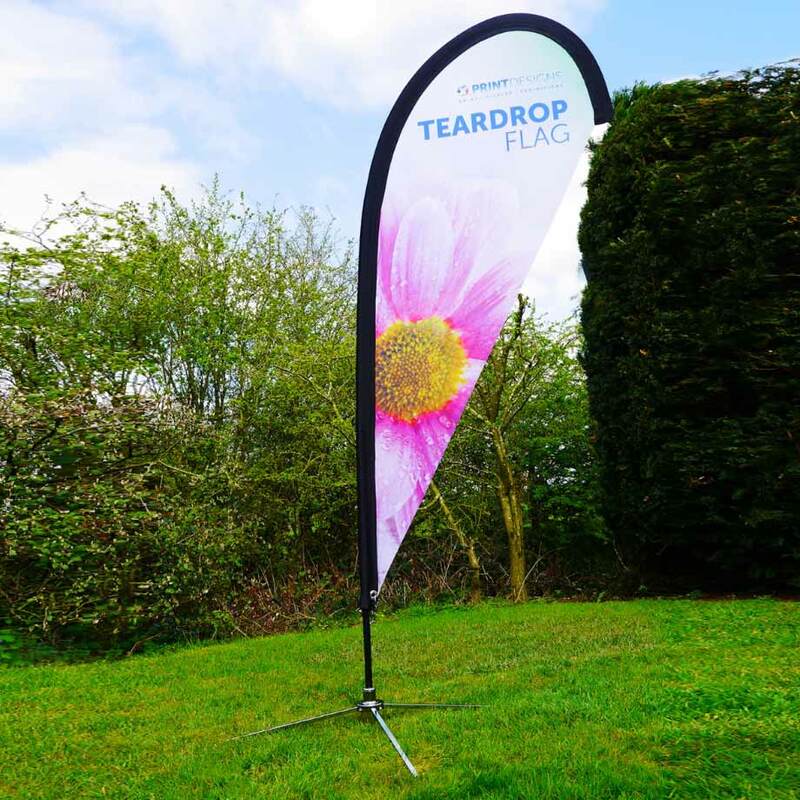 Teardrop flags can be printed either single- or double-sided and displayed in a variety of different landscapes with a base of your choice that best fits your needs. The primary distinction between feather and teardrop flags is their shape. While feather options have a straight-lined bottom, the teardrop products are aptly named in that they more closely resemble the shape of a teardrop. 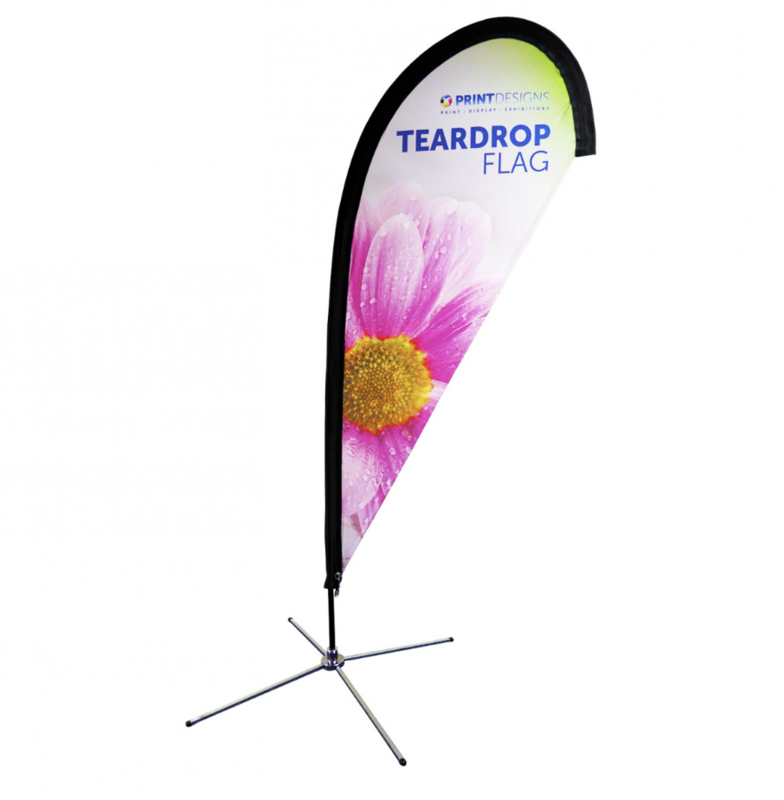 To learn more about teardrop flags, visit this link. If you are struggling to find an option that truly fits your needs, there are many options to have custom promotional products made to help you achieve your goals and get your message in front of the eyes of the public. With bright imagery and attractive displays, you can really turn some heads and grab the eyeballs and attention of passers-by. If the feather and teardrop options don’t quite cut the mustard, there’ll be a custom flag in our range that will get the job done and get people walking through your door! Talk to one of us about your goals and what you are looking for in a flag. We’ll be able to help you develop something ideal for your needs if you want something more specialised than your typical feather or teardrop flag. Why You Can Benefit from Using Advertising Flags? There are lots of things to love about using these products as a promotional tactic. They help to keep your brand in front of the faces of people who pass by them, and if it’s in an area relevant to your business, it will help locals to associate that place with your company. 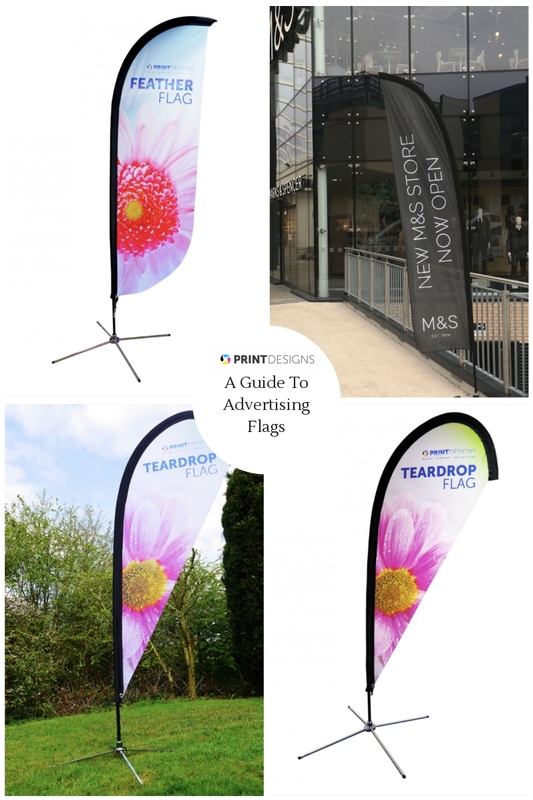 Have you decided that your brand can benefit from promotional flags and are already thinking about where you might have them installed for maximum effect? Before you get ahead of yourself, it’s important to keep in mind that different areas have different laws on where signs, flags, flyers, and other promotional materials may be displayed. Before setting up your promotional products in a specific spot, it is a good idea to look into your local area’s laws on where they may or may not be installed. However, in most cases, this does not tend to be an issue, as the places with the most visibility to the public are usually a safe place to display your promotional material. Your promotional flags will come made from woven polyester, an incredibly durable and high-quality fabric that will get the job done well. We use woven polyester as it’s a versatile material that can be stitched and sewn in a multitude of different ways. It results in a striking product that’ll remain colourful and eye-catching for extended periods of time. The woven polyester is printed using a process called dye sublimation. This refers to a technique in which heat is applied to transfer ink onto the material in question. 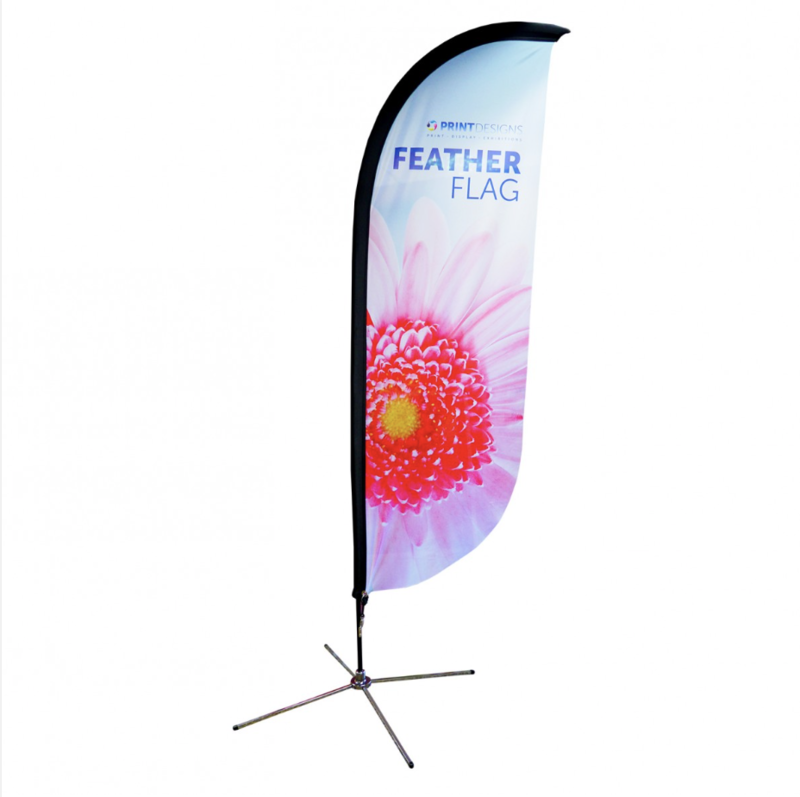 We only use the dye sublimation procedure for printing promotional flags because it works so effectively on the polyester, images appear incredibly vibrant, and its guaranteed to look like new for ages. Woven polyester also makes a great material for these products because it is machine washable on the gentle setting. This way, even if they are left outside in harsh weather conditions, you can simply throw them in the wash to have them emerge as good as new once more. This material is good enough for the military to place its faith in, so we believe it to be up to any of the challenges it will face in most areas. Who Should Use Promotional Flags? Promotional flags are highly useful and versatile tools that can be used in nearly any industry looking for cost-effective outdoor advertising. Campaigns we’ve printed for include flags for the leisure industry, corporate events, and hospitality. They are a worthwhile way to get the word out about any brand. If you’ve got a brick-and-mortar location, a flag outside will get your premises noticed. Now you know the lowdown on advertising flags, pop over to our online flags store to find the right advertising flags to make a real impact for your business. « Shell Scheme Graphics Guaranteed To Get Your Brand Noticed!